This evening I had just imaged comet Machholz with my focal reducer. I'd never tried the focal reducer with the new SC3 camera before, and I was pleased that the resulting images had reasonable shaped stars. 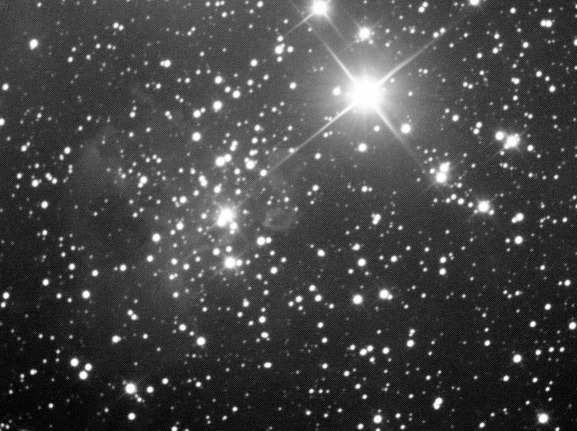 I got distracted and left the scope collecting lots and lots of frames of this star packed part of the sky - the nebula was very faint, and required a lot of curves to bring it out. One for the Ha filter, when I get around the buying it!